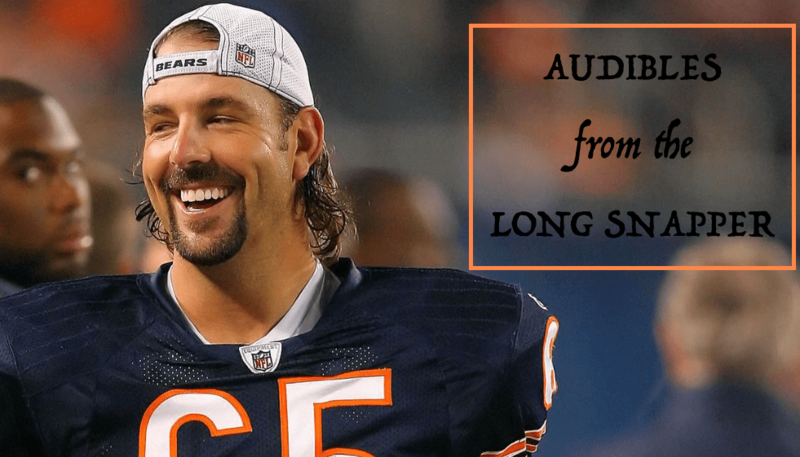 Da Bears Blog | Audibles From the Long Snapper: Jahns, Hoge, Trubisky & Coats! Eventually they will have to. Eventually the Bears won’t have a lead because of defensive touchdowns. Eventually Trubisky is going to be behind and have to throw the football. Trubisky almost seemed embarrassed that his defense had to carry so much of the load. “We didn’t score as an offense and the defense carried us so we kind of felt salty that we couldn’t help out more than we did,” he said. The answer was as convincing as a John Fox injury report. Clearly Trubisky wasn’t satisfied with the win. Teammates will love this kid’s accountability. But what I especially don’t like about Trubisky throwing 7 passes is the scrutiny each of those throws receives. Every QB is gonna throw a handful of bad passes a game. When you only throw it 7 times, you can’t. Image from Jeff Dickerson’s Twitter feed. All the pertinent info is in the image. Donate! Rich Campbell did a nice job in the Tribune breaking down how the Bears rebuilt the defense in three years. Amazing how many fans have forgotten how bad the unit was just three seasons ago. How did Panthers media respond to Sunday’s game? Not well. Here is our friend Scott Fowler’s reaction in the Charlotte Observer. Headline says it all for this Andy Benoit piece for SI: “The Bears Are Everything a Modern NFL Team Isn’t Supposed to Be . . . and They’re on a Winning Streak”. 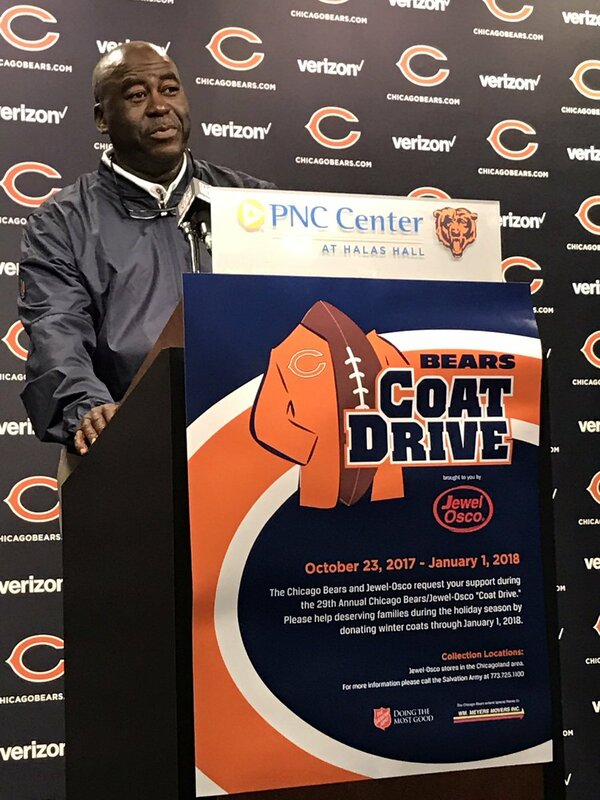 GM Ryan Pace was on WBBM radio prior to the Panthers game. Sounds an awful lot like someone who is on board with the current offensive approach.